Get an assessment to energy rate your home. Seal the gaps under doors, floors and windows. Draughts account for a significant amount of energy loss. By replacing halogen and feature lights with LED lamps you can be up to 10-times more efficient. Turn off lights and heating when the room is not in use. Turn off electrical appliances at the wall when not in use. Appliances left on standby still use energy. Use the correct size and type of heater for the room. Overheating wastes energy. Set your hot water cylinder to 60°C, the minimum recommended storage temperature. Warm air rises, so insulate your ceiling, it's one of the best ways to cut your energy bills. 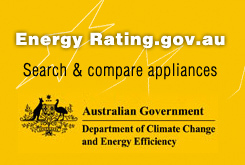 If you're about to buy a new appliance, choose an energy efficient model by comparing the star ratings. If you have a dishwasher, try to use it only when it's fully loaded. Use the sun to dry clothes when you can, not the dryer. Select ‘cold wash’ on your washing machine and save energy. 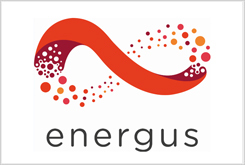 The Energus team has over 70 years combined experience within the solar industry. Energus has world leading experience covering areas from solar cell technology, solar module development, module performance, module durability through to system design, integration, installation and project management. Energus is committed to providing leading edge technologies coupled with industry leading installation practices ensuring optimum system performance and achieving the system design life. 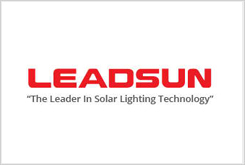 Leadsun is a leading manufacturer of solar-powered LED lighting products that have been designed and developed to meet the requirements for Government, Industrial and Residential applications. such as: Energy Efficient Solar Street Lighting, Solar Lights for Car Parks & Bus Shelters, Solar Billboard, Signage Lighting, Solar Courtyard, Solar Garden Lighting, Energy Efficient Lighting for Mining, Rail, Commercial Solar Lighting & Strata, Security & Perimeter Solar Lighting, Solar Lights for Pathways & Driveways. Our Green Friendly solar lighting range has revolutionized the industry by offering innovative and sustainable designs perfect for all types of installations. Green Friendly solar lighting, Solar Street Lighting, Solar LightsBus Shelters Solar Lights, Solar Billboard, Signage Lighting, Solar Garden Lighting, Commercial Solar Lighting, Security Perimeter Solar Lighting. 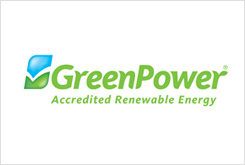 GreenPower is the only voluntary government accredited program that enables your energy provider to purchase renewable energy on your behalf. A joint initiative of the ACT, NSW, SA, QLD, VIC and WA governments, GreenPower guarantees that the renewable electricity you buy from energy suppliers meets stringent environmental standards. Switching to greenpower is easy. You don't have to change your electricity company, just contact your supplier. This site provides a range of choices for your to consider. 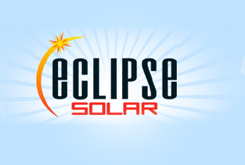 Eclipse Solar provides solar panel installation services and supplies REC solar panels and solar hot water systems in Queensland, including Nambour, the Sunshine Coast, the Gold Coast and Brisbane. Regardless of whether you are a climate change believer or skeptic, you'll agree that we cannot continue to treat the Earth the way we have. We all need to live a more sustainable and eco-friendly lifestyle, and to take better care of our environment, for the sake of our children and grandchildren. 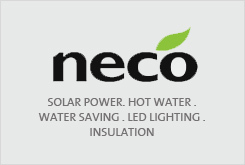 Neco's mission is to educate Australian's about sustainable living, and living a more eco-friendly lifestyle. It's not about making compromises, or becoming radical Greenies - it's about smart green living. Solar power, hot water, water saving, led lighting, insulation, fuel cell. SUTHERLAND AND ST GEORGE SOLATUBE PREMIER DEALER. -Quality Daylighting and Ventilation solutions. -Bring in the natural light without the heat. -Highest performance guaranteed - Energy Star rated. Leak proof - Modern Designer Touches diffusers. A Solar Star solar powered roof ventilator equals X10 whirlys! (Cut summer cooling costs and reduce dampness and mold in winter). No obligation free in house quotes from an experienced certified installation consultant. A locally owned and operated family business. Solatube, Solar Star, Daylighting System, DS, DSe, Certified insulation consultant. 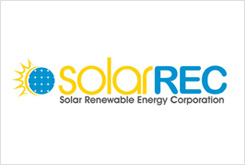 The Solar Rewable corp supplies solar panels in residential properties Australia wide. Using water wisely for your home and garden. 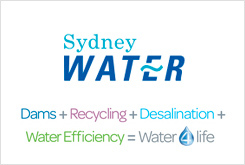 Info about water efficiency, building & renovating, greywater, rebates for toilets, water tanks etc. 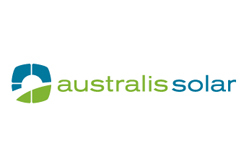 Australis Solar is a renewable energy solutions provider based in Perth, Western Australia. We design and install photovoltaic grid connect systems and solar energy monitoring equipment for homes and workplaces. We work in the Perth metro area and around Western Australia. Approved by the Clean Energy Council, we stock a quality range of solar panels, inverters, mounting systems and solar power products. Solar panels, solar inverters, solar installations, monitoring equipement.